If you are considering crypto-trading, the best way to secure your computer is using high-quality security software. Losing your cryptocurrency is not the best possible thing to happen to you; therefore it’s impetuous that you install such a tool. After installing the best option for security software, it’s recommended that you schedule routine antivirus scans. We also advise you to use strong passwords. It’s essential to remember that your security habits are the only thing that will keep your private data safe and it’s needless to stress the importance of this issue if you are managing your money online. We gathered five+ of the best security software for your crypto trading that you can possibly find out there these days just to make your choice much more manageable. Take a look at their sets of features to find out which tool suits your preferences and needs best. Unfortunately, the newest ransomware and zero-day threats are able to bypass the traditional antivirus, and antimalware security and such tools will not be enough to protect your online transactions. On the other hand, Bitdefender is using more advanced behavior-based technologies, and this helps the software detect 99% of unknown threats. Bitdefender GravityZone offers high-quality business security, and it’s the ideal tool for your crypto trading. 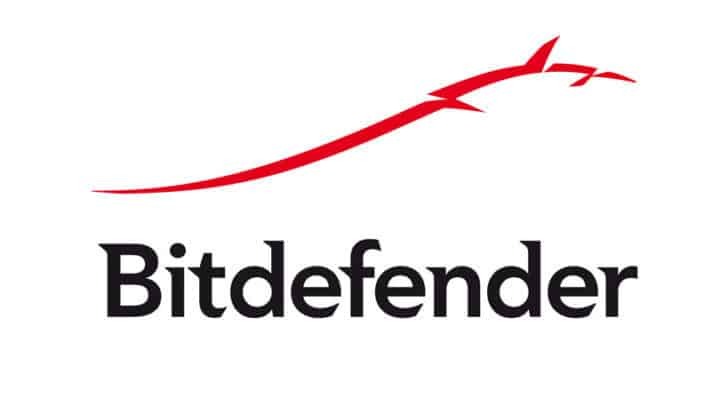 Bitdefender uses an Advanced Threat Control that is able to monitor non-stop all the running processes on your system looking for various signs of malicious behavior. This software is currently protecting more than 500 million systems all over the globe. Bitdefender is using Artificial Intelligence and machine learning because these are essential weapons to combat sophisticated threats. Using Bitdefender’s business software, you can avoid losing private data and confidential information related to your crypto trading. You will get the chance to customize every aspect of security to make sure that you get maximum protection with just minimal efforts. The software is able to protect your data by setting filters that will block the transmission of sensitive information. This security solution is available in more languages including English, Spanish, German, French, and Romanian. GravityZone Business Security is one of the best choices that you have available when it comes to securing your cryptocurrency and your online transactions. Make sure to head over to Bitdefender’s official website and take a look at more features and functionalities that come with this software. 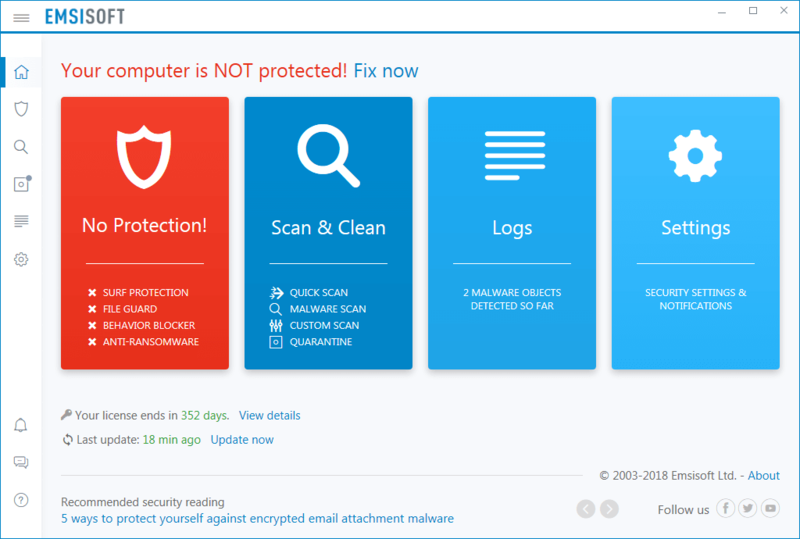 You will also have the opportunity to try Bitdefender GravityZone Business Security for free for 30 days, so don’t waste any more time and give it a go. Emsisoft Anti-Malware is an extremely powerful security software leading in comparatives and continuously winning awards. With a redesigned interface, significant improvements and low impact on computer’s resources, this tool is ideal to secure crypto trading. The Anti-Ransomware protection layer is able to prevent ransomware attacks by detecting their behavioral patterns. That’s how your files are safe from any attacks which may encrypt them. The surf protection is able to recognize suspicious hosts and provide maximum security against the latest cryptojacking strategies. This feature will stop information from being sent to or loaded from malicious websites or Coinhive, by filtering all DNS requests. Emsisoft has more features to protect your system from mining malware. 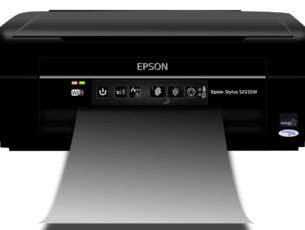 And it comes at a really good price for its performance and very user-friendly. CyberGhost is another effective solution that will successfully secure your crypto trading online. Your online transactions will be finally secured with this security software, and you will be able to stay online and prevent any potential fraud. This VPN is one of the best tools that you have available to make sure that your online payments and transactions remain safe and sound. This VPN comes in handy when you’re considering trading cryptocurrency. It will always safeguard all of your financial details including the moments when you are connecting to public on unknown Wi-Fi network and even when you are traveling to a foreign country. CyberGhost is able to hide your IP and replace it with another one from its own network this way preventing third parties to track you online while you are doing your transactions. While using CyberGhost no one will be able to pry into your personal information and conversations, online transactions or browsing history. Your online activity will be encrypted with the 256-AES bit technology, and this makes it almost impossible for hackers to get your data. The CyberGhost VPN plans include everything you need to stay safe and protected while you’re online. You also have the opportunity to download a free trial of this service just to see how it works. You can check out more advantages and features that you will be able to enjoy while using CyberGhost. Avast is a great security software that allows you to trade your cryptocurrency as safe as possible. All of your financial transactions and other activities are shielded from tracking when you use Avast’s SafeZone Browser in Bank Mode. This is a free antivirus both lightweight and efficient at the same time. It is able to offer you intuitive protection, and it’s already powered by a community over 400 million. Avast comes with two new shields, and this means double protection. You will be able to stop even the most determined hackers from getting their hands on your private information. The Webcam Shield protects your built-in camera from potential spies and hackers. The Ransomware shield makes sure that your files are not able to be encrypted without your permission. Avast Free Antivirus is really useful with its real-time protection, intelligent threat-detection, and enhanced network security. It can also protect your browser and passwords. The software is straightforward to install and use. If you decide to use Avast Free Antivirus, you will be able to stay focused on your cryptocurrency business and leave the endpoint security to the software. During these times in which cyber threats are becoming more and more complex, cybersecurity must be even more sophisticated, and Avast makes sure to deliver this. 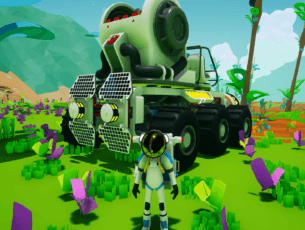 You can check out more information about this software by heading over to its official website. 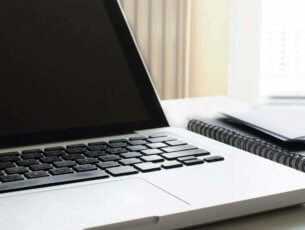 – Get now the best of Avast’s offers. 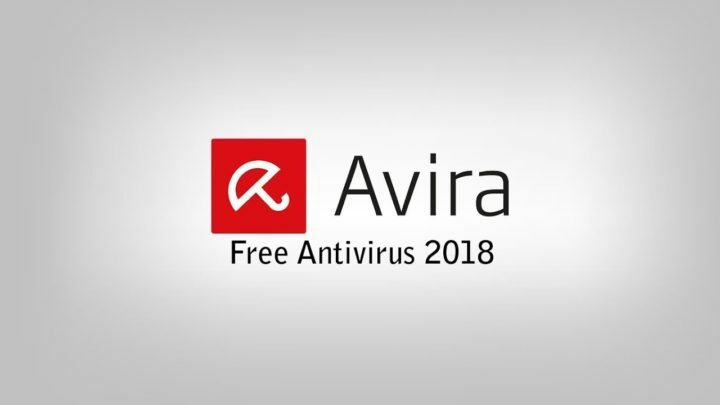 Avira Antivirus is a popular antivirus solution, and this is because it packs an extended set of useful features and it also provides users the opportunity to install a free antivirus before considering buying a paid solution. The File Server Protection offers enhanced protection for your system, and it also allows you to manage whatever data enters the computer or gets out of it. You will even get the chance to blacklist apps and files that you don’t seem to trust or that you just don’t want to interfere with your online operations including crypto trading. Avira is excellent regarding functionality and usefulness, and another great thing about this software is that it’s lightweight. Avira comes with quite a minimalistic approach towards its features, and this ranges from the way that the program looks to the way in works. The software will work silently in the background in order to protect you against all types of threats that your computer might be faced with. All you have to do is download Avira Free Antivirus, install it and after that just sit back and manage your crypto transactions without a worry. If you are happy with Avira’s security services you can hit the buy button and enhance online security with the full spectrum of features. Kaspersky is a fantastic way to protect your crypto trading with genuine cybersecurity. For more than 20 years, Kaspersky has been recognized as one of the best experts in this fierce battle against malware and cybercrime, so this is definitely a software worth looking into. The software will help you protect your privacy, money, files, and more. It’s also important to note the fact that large enterprises, smaller businesses, and public sector organizations as well chose this software to protect their data, processes and corporate systems. Kaspersky also comes with spam filters, and this is essential for keeping your inbox clean and for staying clear of potential dangers that usually lurk in junk mail. The software also includes a firewall, and this will improve security significantly. Kaspersky can operate at pretty high standards, and this is precisely what you need if you decide to trade cryptocurrency from your computer. Head over to Kaspersky’s official website to learn more about the advantages that you will be able to enjoy if you decide to get this software. These are the best five options that we recommend for maintaining your system and your financial operations as safe as possible. No matter which one of these tools you will decide to use, we assure you that your crypto trading will be in good hands. Editor’s Note: This post was originally published in March 2018 and has been updated for freshness, accuracy, and comprehensiveness, including more relevant products for the query.